His sound is basicly focus on modern techno but he loves old school and also Detroit techno, so he can be good for every underground parties. 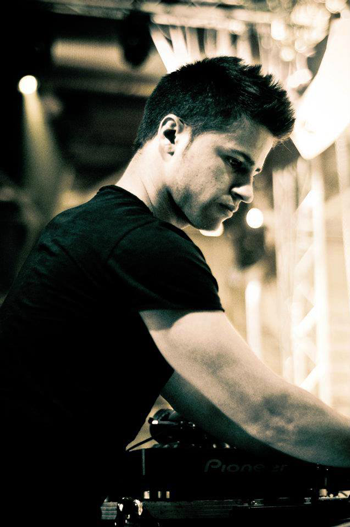 His tracks were published on labels like ITALO BUSINESS, NAKED LUNCH, RELOADING RECORDS and SEQTOR (CEO & Co-Owner). Thank to his results in this music scene, The young dj from Riccione (IT) has already several gigs in his curriculum both in his country and foreign countries too, expecially in German/Swiss territory (“Rheingold Club”/Dusseldörf, “Club London” /Ludwigshafen am Rhein, “Ug Bulach”/Zurich, “ToY Club”/Stuttgard and more tbc) in addiction to a relevant place at the “Illusion Music Festival” in Pinerolo (Tourin) in 2012 where he played after the well-knowed Ellen Allien (B-Pitch Control).